Do these look ent-icing or what?! It is that time during the semester when every college student is under a lot of stress. Only a few weeks left of the Fall semester means bring on the research papers, finals, studying and organizing for the upcoming Spring semester. So, what better way to de-stress then to make some delicious cookies? Because after all, we all know “stressed” spelled backwards is “desserts,” so take a break and pump(kin) up you sweet tooth! Preheat the oven for 350 degrees F. Cream shortening and sugar until light. Add eggs and blend well. Sift flour and spices together and add to creamed mixture alternately with pumpkin. Add raisins and mix well. 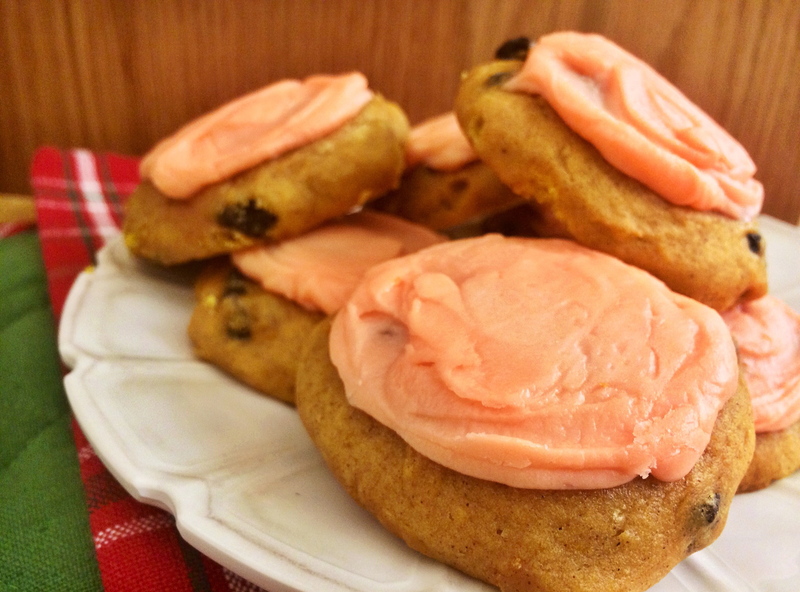 Drop by the spoonful onto a greased cookie sheet. Press down a bit. Bake for about 10-15 minutes. Frost if desired. Bon appétit!